Sanjay Singh, 10, and Pawanveer Singh, almost 2, were in a BMW being driven by their mother when they died in a collision with an Audi S3. Police have urged the driver of the Audi, who left the scene on Thursday evening, to come forward while a 31-year-old driver of a third car, has been arrested on suspicion of causing death by dangerous driving. Ambulance crews arrived at the Lawnswood Avenue junction to find members of the public tending to the injured. Paramedics tried to save the brothers - from Dudley, police said - but they were pronounced dead at the scene. The mother, whose injuries were not life-threatening, was taken to hospital but has since been released. 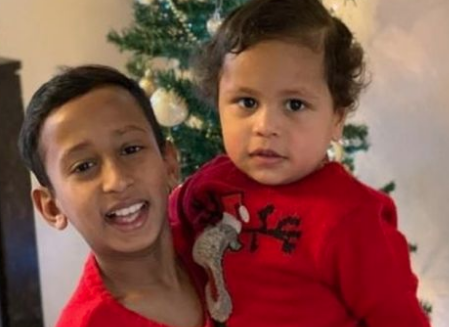 A family statement issued by West Midlands Police said- "Our family are grieving over the tragic deaths of our two beautiful children, as well as dealing with the shock of the horrific crash."